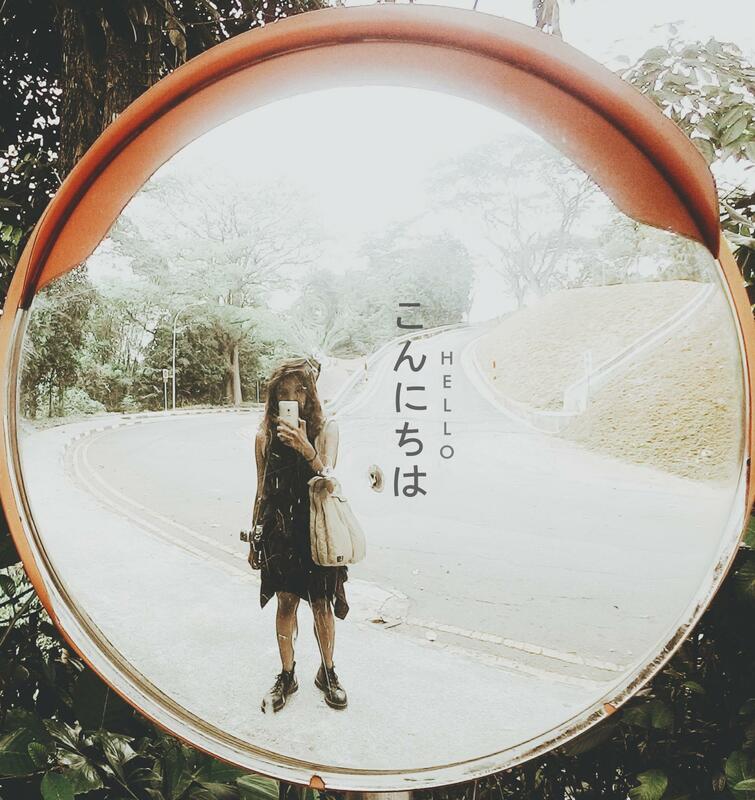 This month, I got very eager to take snapshots of almost every day-to-day happenings in my life- which goes along with my 365 journal. It might already grew into a habit- which is a good thing. I don't need to put a lot of effort on doing it. 1. 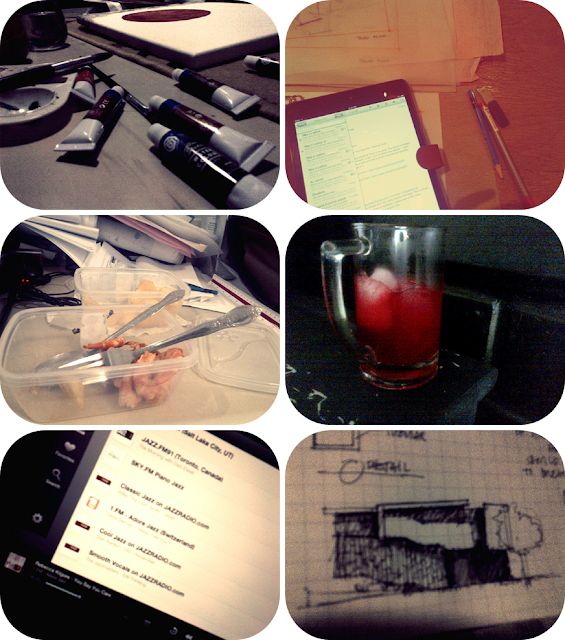 Day for Art. during first week of the month, the arty-fartsy me had unleashed. 2. "Floor Planning"- I just need to work outside the office. Right brain just can't work on a four-cornered room- such a brat! 3. Shrimp and Papers overload for lunch- the day after I had an overnight at the office. I got a stomachache after. haha! 5. Soothing Jazz- for mind relaxation. Thanks to TuneIn Radio App. I was able to listen to jazz music around the globe. 6. Love for cantilever- Schematic Design of one of our projects. 1. Chikahan with Krizelle @ Town- not so usual topic of conversation for me. But it's fun to talk to people sharing the same sentiments as yours. It was my first time to meet her personally- we usually talk via BBM or twitter. 4. Meet the girl- Say Hi to Coleen, my little brother's girlfriend. 5. 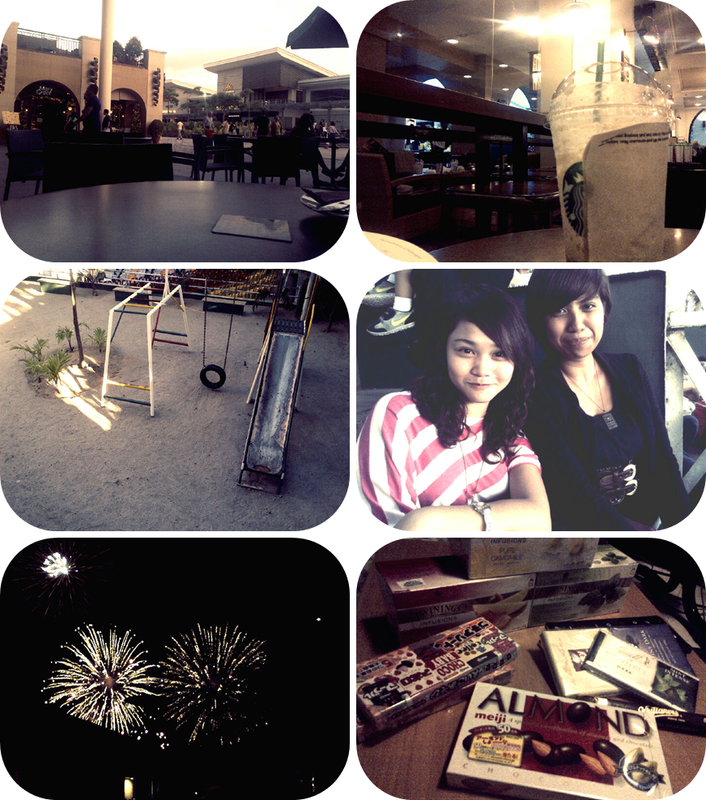 Pyro +++- I was supposed to go to UST arki's grad but heavy traffic's such a party pooper so went to MOA instead to meet other friends. This is just one heck of a night. 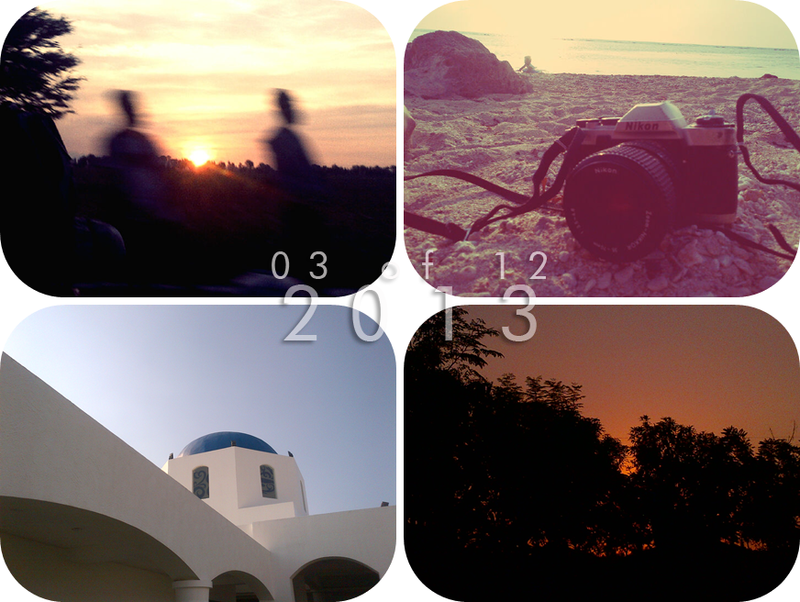 These last four photos are from our trip to La union 2 days ago. 2. Analogue- finished 2 rolls of films for two days :) I'm quite excited to have them processes but a bit scared of the output. It's first time for me to use a real film camera (the one with diverse settings)- I usually go for a point and shoot. 3. White facade on blue sky- before heading to Manila yesterday, we dropped by at Thunderbird resort @ Poro Point San Fernando. The theme was merely patterned from Santorini, Greece (my ultimate travel destination). The place was just ok. I find the area too flat, they could've played more with the terrain. 4. Sunset on the road- on our way back to Manila. I already deactivated my facebook account last January and promised not to use it 'til next year. But then these past few weeks, I got so tempted to use it again. So, to keep my word, I permanently deleted it. What a good way to end the month! Haha! One quarter down, 3 more to go.